Akshay Kumar starrer PadMan finally released this Friday and has completed its 1st day at the box office. It opened to a decent occupancy and as per early estimates, it has collected a good amount on day one. If what early estimates predict is true, it has opened better than Akshay Kumar’s last Film Jolly LLB 2. Jolly collected 13.20 crores on its 1st day. The film had almost no advance in all major centres but still, the footfalls for the early morning shows are very encouraging. The results of all the Unique and weird promotional activities adopted by the cast and crew of Padman turned out in favour of the film. The film released in 2750 screens in India and 600 screens overseas. In the morning shows, the film witnessed an occupancy of 25%- 30% at the box office. It seems it really picked up good from the evening shows. The level of opening and early estimates coming in it seems the film will gross 16 crores on its day 1 at the box office. Akshay Kumar movies generally don’t take a very big opening. They open on a positive note and then scale up over the weekend. This is something which should happen with each and every film. 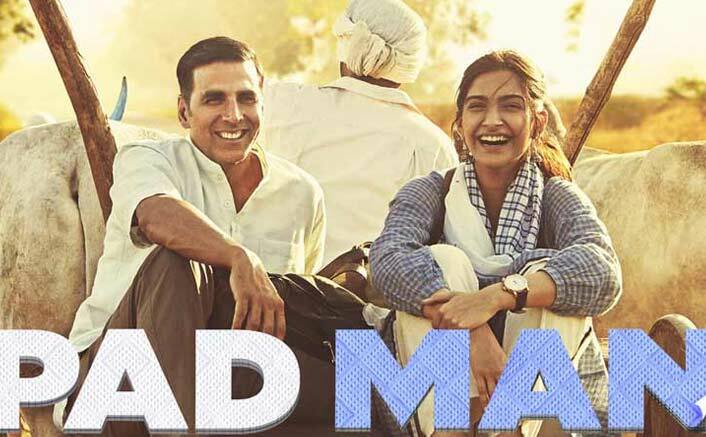 Padman has opened well, and its day 1 collection could be at par with his previous releases. Directed by R Balki, this film also stars Radhika Apte, Sonam Kapoor and Amitabh Bachchan in a cameo role. Unfortunately, this film wasn’t being released in neighboring country Pakistan, due to its subject. Well, it is one of the biggest ever release of Akshay Kumar, releasing in over 50 countries. It is also the first Indian film to release in Russia on the same day, i.e February 9, 2018. The film is based on Arunachalam Muruganantham, a small town entrepreneur from Tamil Nadu, who invented cost-effective sanitary napkins to generate awareness in rural areas. The post Padman Early Estimates: The Film Takes A Decent Start appeared first on Koimoi.